Modern architectural trends of the 20th century often began with residences for wealthy patrons. The Modern and Postmodern architecture of these historic houses describes the innovative approaches by a handful of architects, including Philip Johnson and Mies van der Rohe. Browse this photo gallery to get a glimpse of the 20th century and how it influenced the future. In 1964 when architect Robert Venturi finished this home for his mother near Philadelphia, Pennsylvania, he shocked the world. Postmodern in style, the Vanna Venturi house flew in the face of Modernism and changed the way we think about architecture. Some say it is one of the ten buildings that changed American design. The design of Vanna Venturi House appears deceptively simple. A light wood frame is divided by a rising chimney. The house has a sense of symmetry, yet the symmetry is often distorted. For example, the façade is balanced with five window squares on each side. The way the windows are arranged, however, is not symmetrical. Consequently, the viewer is momentarily startled and disoriented. Inside the house, the staircase and chimney compete for the main center space. Both unexpectedly divide to fit around each other. Combining surprise with tradition, the Vanna Venturi House includes numerous references to historic architecture. Look closely and you will see suggestions of Michaelangelo's Porta Pia in Rome, the Nymphaeum by Palladio, Alessandro Vittoria's Villa Barbaro at Maser, and Luigi Moretti's apartment house in Rome. The radical house Venturi built for his mother is frequently discussed in architecture and art history classes and has inspired the work of many other architects. When German architect Walter Gropius emigrated to the U.S. to teach at Harvard, he built a little house nearby in Lincoln, Massachusetts. The 1937 Gropius House in New England gives visitors a chance to see Bauhaus ideals within the Massachusetts landscape of American colonialism. Its simplistic form influenced International styles of public architecture and residential architecture on the West coast. East coast Americans still love their colonial roots. When people come into my house, I say "Just shut up and look around." That's what architect Philip Johnson has said about his 1949 glass house in New Canaan, Connecticut. Johnson's private home has been called one of the world's most beautiful and yet least functional residence. Johnson did not envision it as a place to live so much as a stage — he loved to host all types of gatherings — and a statement. The house is often cited as a model example of the International Style. The idea of a house with glass walls was from Mies van der Rohe, who early on had realized the possibilities of glass-facade skyscrapers. As Johnson was writing Mies van der Rohe (1947), a debate ensued between the two men — was a glass house even possible to design? Mies was designing the glass-and-steel Farnsworth House in 1947 when Johnson bought an old dairy farm in Connecticut. On this land, Johnson experimented with fourteen "events," beginning with the 1949 completion of this glass house. Unlike the Farnsworth House, Philip Johnson's home is symmetrical and sits solidly on the ground. The quarter-inch thick glass walls (the original plate glass was replaced with tempered glass) are supported by black steel pillars. The interior space is mainly divided by its furnishings — dining table and chairs; Barcelona chairs and rug; low walnut cabinets serve as a bar and kitchen; a wardrobe and bed; and a ten-foot brick cylinder (the only area that reaches the ceiling/roof) that contains the leather-tiled bathroom on one side and an open-hearthed fireplace on the other. The cylinder and the brick floors are a polished purple hue. "In Johnson's house the entire living space, to all corners, is more visible; and because it is broader—an area 32 feet by 56 feet with a 10 1/2-foot ceiling—it has a more centered feeling, a space where you have a greater sense of 'coming to res.' In other words, where Mies's is dynamic in feeling, Johnson's is more static." "...compare the Glass House to places like Monticello or Sir John Soane's Museum in London, both of which are structures that, like this one, are quite literally autobiographies written in the form of houses — amazing buildings in which the architect was the client, and the client was the architect, and the goal was to express in built form the preoccupations of a life....We could see that this house was, as I said, Philip Johnson's autobiography — all of his interests were visible, and all of his architectural preoccupations, beginning with his connection to Mies van der Rohe, and going on to his decorative classicism phase, which yielded the little pavilion, and his interest in an angular, crisp, more purely sculptural modernism, which brought forth the Sculpture Gallery." Philip Johnson used his house as a "viewing platform" to look out at the landscape. He often used the term "Glass House" to describe the entire 47-acre site. In addition to the Glass House, the site has ten buildings designed by Johnson at different periods of his career. 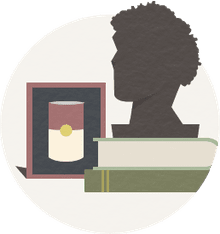 Three other older structures were renovated by Philip Johnson (1906-2005) and David Whitney (1939-2005), a renowned art collector, museum curator, and Johnson's long-time partner. The Glass House was Philip Johnson's private residence, and many of his Bauhaus furnishings remain there. In 1986, Johnson donated the Glass House to the National Trust, but continued to live there until his death in 2005. The Glass House is open to the public, with tours booked many months in advance. 1945 to 1951: Glass-walled International Style home in Plano, Illinois, USA. Ludwig Mies van der Rohe, architect. Hovering in a green landscape in Plano, Illinois, the transparent glass Farnsworth House by Ludwig Mies van der Rohe is often celebrated as his most perfect expression of the International style. The house is rectangular with eight steel columns set in two parallel rows. Suspended between columns are two steel-framed slabs (the ceiling and the roof) and a simple, glass-enclosed living space and porch. All the exterior walls are glass, and the interior is entirely open except for a wood paneled area containing two bathrooms, a kitchen and service facilities. The floors and exterior decks are Italian travertine limestone. The steel is sanded smooth and painted a gleaming white. The Farnsworth House took six years to design and build, between 1945 and 1951.. During this period, Philip Johnson built his famous Glass House in New Canaan, Connecticut. However, Johnson's home is symmetrical, ground-hugging structure with a very different atmosphere. Edith Farnsworth was not happy with the house Ludwig Mies van der Rohe designed for her. She sued Mies van der Rohe, claiming that the house was not livable. Critics, however, said that Edith Farnsworth was lovesick and spiteful. Pritzker Prize winning architect Thom Mayne wanted to transcend the concept of a traditional suburban home when he designed the Blades Residence in Santa Barbara, California. Boundaries blur between indoors and out. The garden is an elliptical outdoor room that dominates the 4,800 square foot home. The house was built in 1995 for Richard and Vicki Blades. The Magney House in New South Wales, Australia, by Glenn Murcutt. Pritzker Prize winning architect Glenn Murcutt is known for his earth-friendly, energy-efficient designs. The Magney House from 1984 stretches across a a barren, wind-swept site overlooking the ocean in New South Wales, Australia. The long low roof and large windows capitalize on natural sunlight. Forming an asymmetrical V-shape, the roof also collects rainwater which is recycled for drinking and heating. Corrugated metal sheathing and interior brick walls insulate the home and conserve energy. Louvered blinds at the windows help regulate the light and temperature. Murcutt's architecture has been studied for his sensitive solutions to energy efficiency. Completed in 1929 near Los Angeles, California, the Lovell House introduced the International style to the United States. With its wide glass expanses, its design by architect Richard Neutra resembles European works by Bauhaus architects Le Corbusier and Mies van der Rohe. Europeans were impressed by the innovative structure of the Lovell House. The balconies were suspended by slender steel cables from the roof frame, and the pool hung in a U-shaped concrete cradle. Moreover, the building site posed an enormous construction challenge. It was necessary to fabricate the skeleton of the Lovell House in sections and transport it by truck up the steep hill. Palm Springs, California is the unofficial home of midcentury Desert modernism. As the rich and famous escaped their Hollywood employers (but stayed within reach for a callback or new part), this nearby community in Southern California emerged from the desert. In the middle of the 20th century, some of Europe's finest modern architects had emigrated to the U.S. bringing with them a modernity enjoyed by the wealthy. These homes, along with Frank Lloyd Wright's Hollyhock House, influenced the ever-popular design for middle class Americans — the American Ranch house. In 1980, the Pritzker Architecture Prize biographer quoted Luis Barragan as saying, "Any work of architecture which does not express serenity is a mistake." His 1947 Minimalist home in Tacubaya, Mexico City was his serenity. On a sleepy Mexican street, the former home of the Pritzker Laureate is quiet and unassuming. However, beyond its stark facade, the Barragán House is a showplace for his use of color, form, texture, light, and shadow. Barragán's style was based on the use of flat planes (walls) and light (windows). The high-ceilinged main room of the house is partitioned by low walls. The skylight and windows were designed to let in plenty of light and to accentuate the shifting nature of the light throughout the day. The windows also have a second purpose - to let in views of nature. Barragán called himself a landscape architect because he believed that the garden was just as important as the building itself. The back of Luis Barragán House opens onto the garden, thus turning the outdoors into an extension of the house and architecture. Luis Barragán was keenly interested in animals, particularly horses, and various icons drawn from popular culture. He collected representative objects and incorporated them into the design of his home. Suggestions of crosses, representative of his religious faith, appear throughout the house. Critics have called Barragán's architecture spiritual and, at times, mystical. 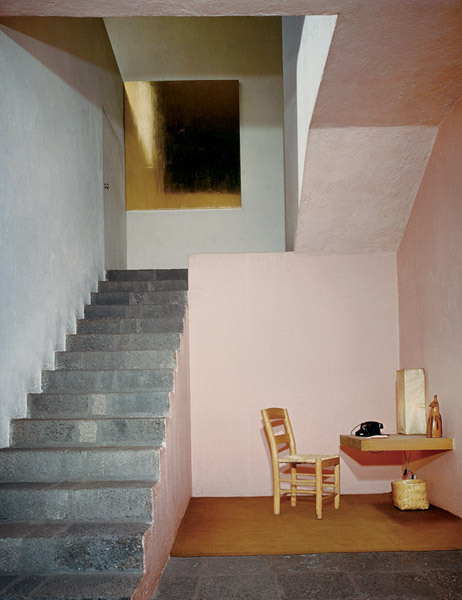 Luis Barragán died in 1988; his home is now a museum celebrating his work. Designed by the husband-and-wife team Charles and Ray Eames, Case Study House #8 set the standard for modern prefabricated architecture in the United States. Between 1945 and 1966, Art and Architecture magazine challenged architects to design homes for modern living using materials and building techniques developed during World War II. Affordable and practical, these Case Study homes experimented with ways to meet the housing needs of returning soldiers. In addition to Charles and Ray Eames, many famous architects took on the Case Study House challenge. More than two dozen houses were built by top-name designers like Craig Ellwood, Pierre Koenig, Richard Neutra, Eero Saarinen, and Raphael Soriano. Most of the Case Study Houses are in California. One is in Arizona. Charles and Ray Eames wanted to build a house that would meet their own needs as artists, with space for living, working, and entertaining. With architect Eero Saarinen, Charles Eames proposed a glass and steel house made from mail order catalog parts. However, war shortages delayed delivery. By the time the steel arrived, the Eames had changed their vision. The Eames team wanted to create a spacious home, but they also wanted to preserve the beauty of the pastoral building site. 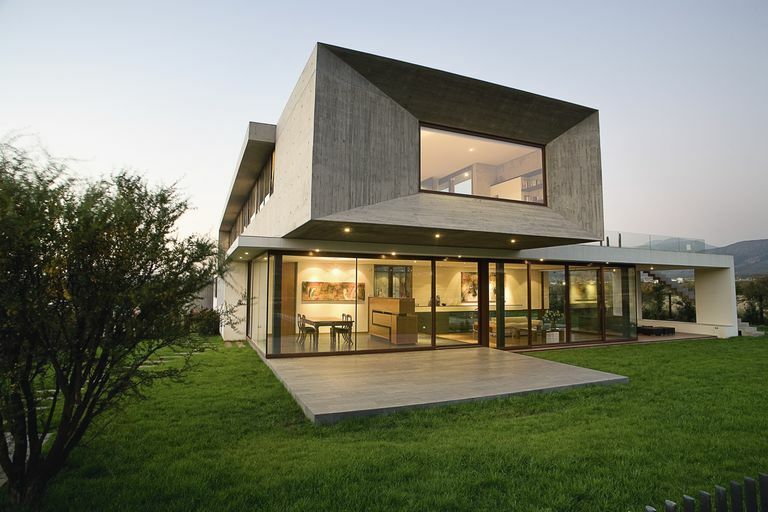 Instead of towering over the landscape, the new plan tucked the house into the hillside. Slim black columns frame colored panels. The living area has a ceiling that rises two stories with spiral stairs going to the mezzanine level. The upper level has bedrooms overlooking the living area and a courtyard separates the living area from the studio space. Charles and Ray Eames moved into Case Study House #8 in December 1949. They lived and worked there for the remainder of their lives. Today, the Eames House is preserved as a museum. Hyatt Foundation. Luis Barragán Biography. 1980 Pritzker Prize.